This is a scalable context timeline. It contains events related to the event 8:19 a.m. September 11, 2001: Flight 11 Attendant Betty Ong Describes Emergency on Her Plane. You can narrow or broaden the context of this timeline by adjusting the zoom level. The lower the scale, the more relevant the items on average will be, while the higher the scale, the less relevant the items, on average, will be. Resolution Agent Joins Call - Minter asks Ong to hold for a moment. She then phones the American Airlines international resolution desk, which is on the other side of the building. Winston Sadler, the resolution agent, answers, and Minter tells him she has a woman on the phone who is calling from an American Airlines flight that is being hijacked. Minter says she cannot find the “emergency button” on her phone, and Sadler notices that she seems panicked. He offers to take over the call, and so Minter transfers it to him. The phone system allows Sadler to be connected to Minter’s line while Minter remains on it. James Sayer. [Source: Boston Globe]Amy Sweeney, a flight attendant on Flight 11, reaches the American Airlines flight services office at Logan International Airport in Boston for the second time, and describes the trouble on her plane to an employee there. [Federal Bureau of Investigation, 9/11/2001, pp. 7-8; 9/11 Commission, 7/24/2004, pp. 6; US District Court for the Eastern District of Virginia, Alexandria Division, 7/31/2006] Sweeney called the flight services office at 8:25 a.m. and told Evelyn Nunez, a passenger service agent, about the trouble on Flight 11, but the call was cut off after less than two minutes (see 8:25 a.m. September 11, 2001). [Federal Bureau of Investigation, 9/11/2001, pp. 57-58; 9/11 Commission, 8/26/2004, pp. 10; US District Court for the Eastern District of Virginia, Alexandria Division, 7/31/2006] Sweeney now calls the flight services office again. Nunez is busy making a phone call, so Sweeney’s call is answered by James Sayer, a staff assistant. Michael Woodward. [Source: Discovery Channel]Amy Sweeney, a flight attendant on Flight 11, reaches the American Airlines flight services office at Logan International Airport in Boston for the third time, and, in a phone call lasting 12 or 13 minutes, gives details of the trouble on her plane to a manager there. [9/11 Commission, 8/26/2004, pp. 11; US District Court for the Eastern District of Virginia, Alexandria Division, 7/31/2006] Sweeney has already called the flight services office two times and provided employees there with details of the hijacking of Flight 11, but both calls were cut off after a short time (see 8:25 a.m. September 11, 2001 and 8:29 a.m. September 11, 2001). Manager Takes Over Answering Call - At 8:32 a.m., Sweeney reaches the office for the third time. [9/11 Commission, 7/24/2004, pp. 6; US District Court for the Eastern District of Virginia, Alexandria Division, 7/31/2006] The call is answered by James Sayer, a staff assistant. But Sayer tells Michael Woodward, an American Airlines flight services manager at Logan Airport, that the caller is Sweeney, and Woodward then takes over the call. Woodward is friends with Sweeney and has known her personally for 10 years. Furthermore, Woodward will tell the 9/11 Commission, Sayer is not trained to handle emergency calls. Woodward asks Sweeney, “Amy, sweetie, what’s going on?” She replies, “Listen to me very, very carefully.” Realizing that Sweeney is going to give him important information, Woodward immediately begins taking notes. Doctor or Nurse Requested - Woodward will say, when he is first questioned by the FBI about Sweeney’s call, that Sweeney tells him that a doctor and nurse are caring for the passenger who had his throat slashed. [Federal Bureau of Investigation, 9/11/2001, pp. 5-6] But Ong, who is on the phone with employees at the American Airlines Southeastern Reservations Office in North Carolina (see 8:19 a.m. September 11, 2001 and 8:21 a.m. September 11, 2001), says there are no doctors on Flight 11 (see 8:36 a.m.-8:37 a.m. September 11, 2001). [American Airlines, 9/11/2001, pp. 7-19; 9/11 Commission, 1/27/2004 ] However, in a second interview with the FBI and in his interview with the 9/11 Commission, Woodward will say only that a doctor or nurse has been paged. 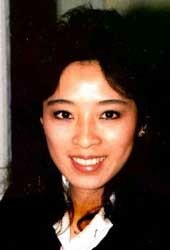 Betty Ong, a flight attendant on Flight 11, tells American Airlines employees on the ground the name and seat number of a hijacker who is in the cockpit of her plane and is likely responsible for stabbing a passenger. [American Airlines, 9/11/2001, pp. 7-19; 9/11 Commission, 8/26/2004, pp. 12] Ong has, since 8:18 a.m., been on the phone with employees at the American Airlines Southeastern Reservations Office in Cary, North Carolina, and has been describing to them the trouble on her plane (see 8:18 a.m. September 11, 2001). [9/11 Commission, 7/24/2004, pp. 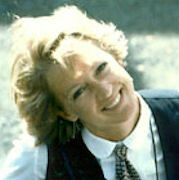 5] She previously provided the seat numbers of two hijackers who, she said, were in the cockpit (see 8:28 a.m. September 11, 2001). She now gives details of a third hijacker who she also says is in the cockpit. At the FAA’s Herndon Command Center, the national operations manager, Ben Sliney, learns more details of the hijacking of Flight 11, and becomes involved with the emergency response to it. [Spencer, 2008, pp. 21] A supervisor at the Command Center informed Sliney of the suspected hijacking at just before 8:30 (see 8:28 a.m. September 11, 2001). Soon after, the supervisor interrupted a meeting Sliney was in, to tell him American Airlines had called to report the deteriorating situation on Flight 11 (see 8:30 a.m.-8:40 a.m. September 11, 2001). Sliney Receives More Details - Sliney heads to the center’s operations floor, where the supervisor gives him further details of the call from American Airlines, including information about flight attendant Betty Ong’s phone call from Flight 11 (see 8:19 a.m. September 11, 2001). The supervisor says the plane’s transponder has been switched off (see (Between 8:13 a.m. and 8:21 a.m.) September 11, 2001), which means no flight data is showing on the screens of air traffic controllers, and the latest information from the FAA’s Boston Center is that Flight 11 has turned south, and is now 35 miles north of New York City. On one of the large screens at the front of the Command Center that shows flight trajectories, Sliney can see that the track for Flight 11 is in “ghost.” This means that, because no transponder data is being received, the computer is displaying track information based on previously stored track data.